Madeleine L'Engle has passed away. Story here. She was 88. I haven't read her work but I know visitors who are fans. She wrote over 60 books. Amazing. This is a lovely website for A Wrinkle In Time. It's very sad when a great writer dies. I hadn't heard this yet. That is sad. Wow, there's lots of hers that I need to get reading! 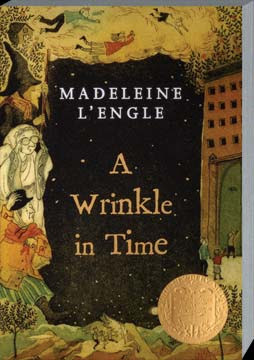 I LOVED A Wrinkle in Time when I was a kid. I have read most of her books, I was very sad to hear that she died! I just now found out she died!! Argh! Where was the news? Not in my newspaper, that's for sure. I loved L'Engle and I'm thrilled to say that I got to hear her speak. I'm so sad that she died.